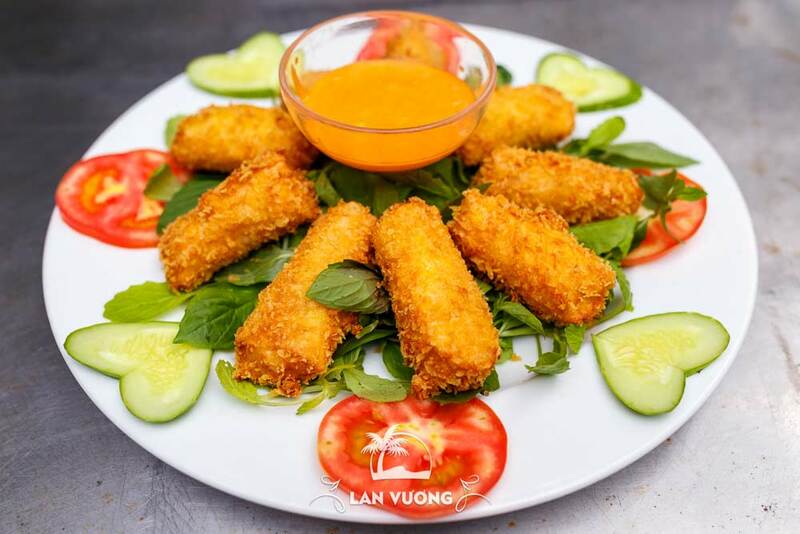 Morning : Pick-up welcome guests start at Lan Vuong one day. 10:00 Arrived at Lan Vuong Resort – You’ll get traditional costume like farmers (brown jacket, black pants). Continue to move to ditch fishing area, fish snake after you catch the support will be grilled, noodles, vegetables at lunch. – Take part in the contest “good hand or do” as the local cake. Then enjoy the pancakes. 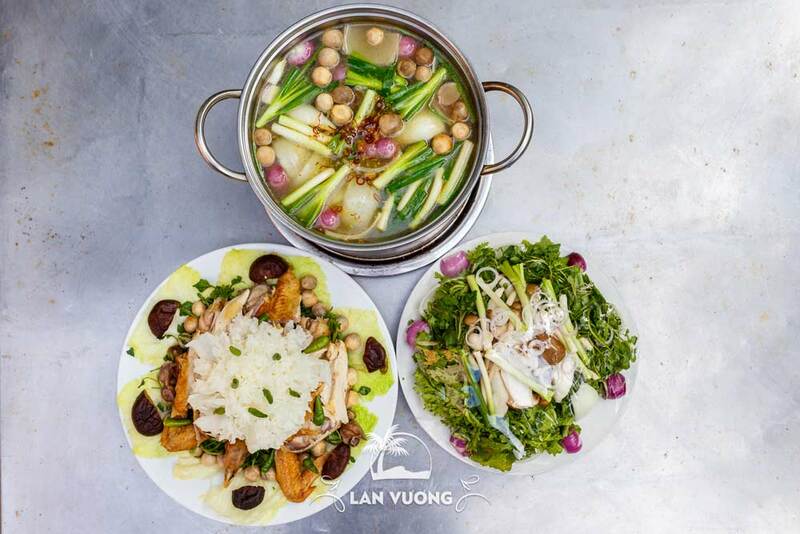 Salad with coconut shrimp and meat | Fried Elephant fish | “Banh xeo” + fish snack prepared by hand | Crispy fried carp hotpot | Ice tea, fruit, dessert. Delegation to the wharf to participate in three-leaf boat racing game (including safe jackets). 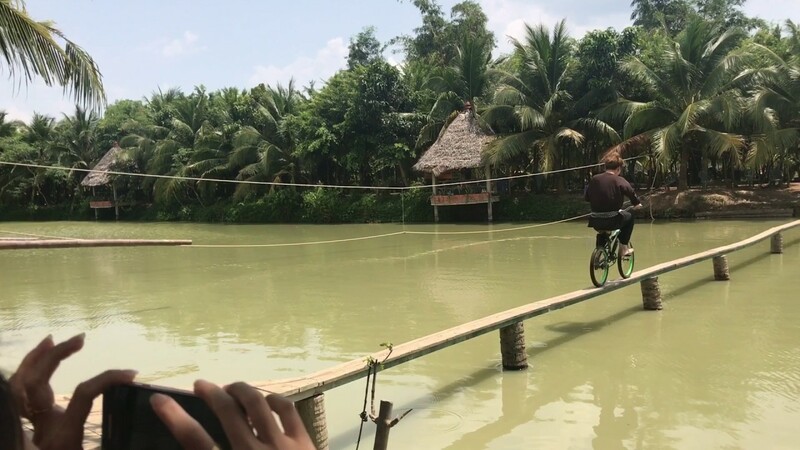 There is no cable, no bridge, no handrails, bicycle through the monkey bridge. Include: New car transported along the journey. 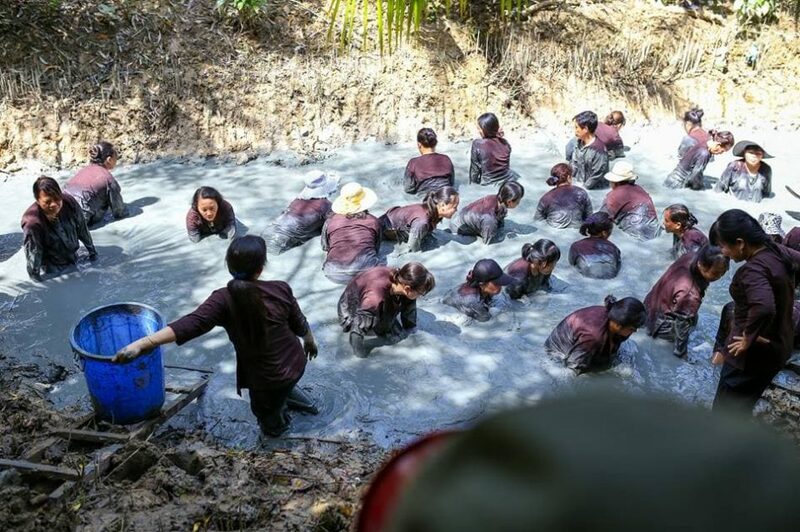 Farmer costume games such as the three-leaf boat race | fishing ditches | river cable car | bridge balancing | baking pancake| bicycle through the monkey bridge | folk games. Main meal: 01 light breakfast + 01 lunch special at Lan Vuong | English speaking tour guide| wet towel | mineral water | 1 tourist hat per guest | Insurance for foreigners.